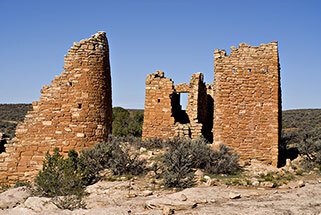 click photo to enlarge Hovenweep means "deserted valley" in Ute. 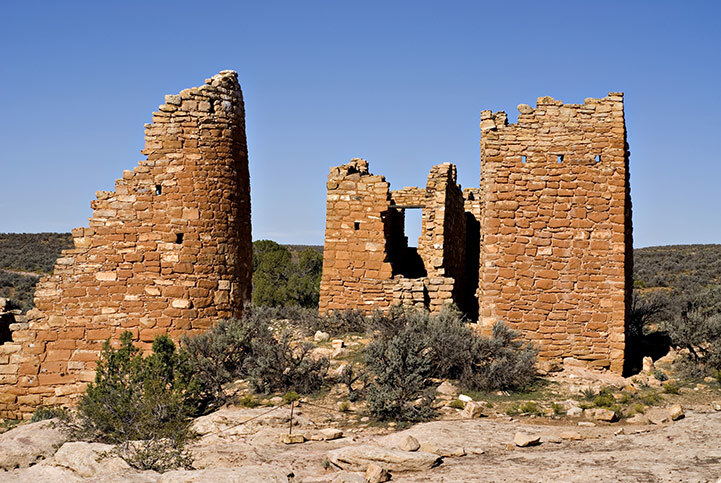 It is located in Utah near the Colorado Utah border. 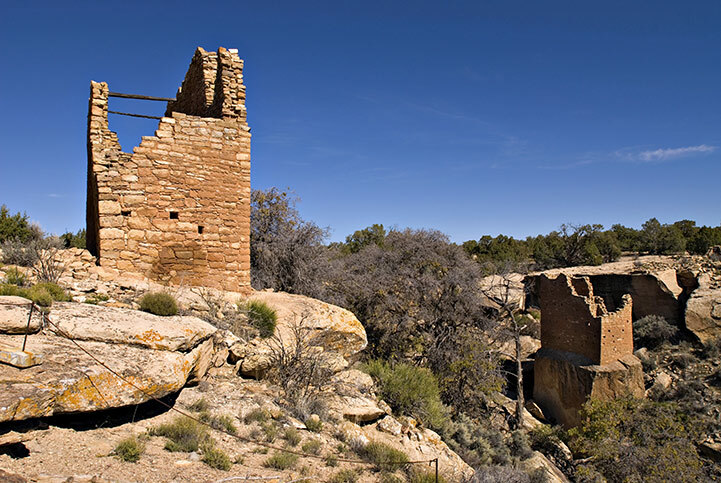 The park land protects 6 Puebloan villages over a 20 mile area. This structure is part of the Square Tower Group which is near the visitors center. This group is the only one located on a paved road. click photo to enlarge It is felt that as many as 500 people inhabited this group between 1200 and 1300 AD. click photo to enlarge The next three photos are part of the Holly Group. 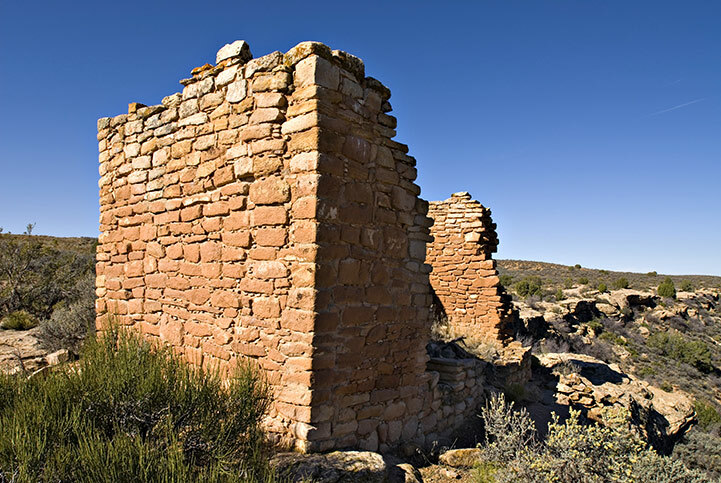 This structure is called boulder house because it was constructed on top a large boulder. No scaffolding was used to build it. It was all built from the inside one story at a time. 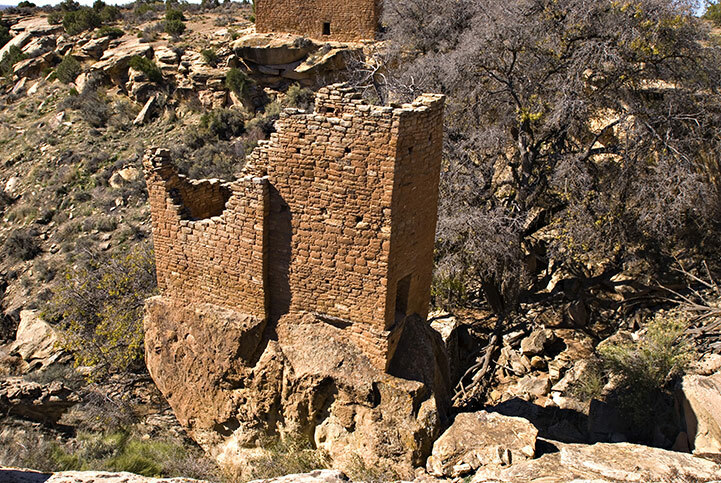 The boulder house was built in the 1200's and the whole area was abandoned in the 1300's. 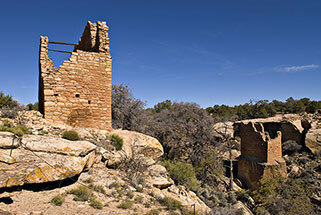 click photo to enlarge In this photo you can see boulder house off to the right. Some areas of the dirt road to get here were a bit rough and would have been hard to cover in a low slung car. 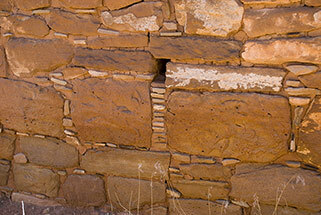 click photo to enlarge This close up shows the stone work. I found it fascinating that you would see this small stone work only on the outside walls and typically near the entrance. It would leave me to believe it was decorative but they covered the stone work with adobe. 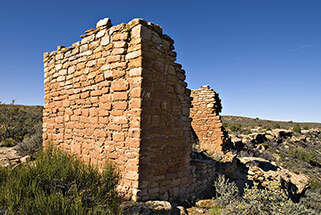 The adobe has long since deteriorated and is gone.